.... I am neither a bourbon drinker nor know much of anything about aged liquor.... and was hoping the connoisseurs here might be able to give me some insights on two bottles of bourbon which my wife has from her deceased father. The first is Very Very Old Fitzgerald, and the second is Old Weller. My father-in-law most likely received them as gifts sometime in 1980's. They both have screw tops (not corked), and what appears to be tax stamps.... which might date the bottles. It does not seem that the bottles have lost any volume to evaporation. Any thought on what I have here? I have a pic of the two bottles, but I am new here and have no idea how to include in this message. Those older bourbons can be very valuable, especially bottles that were distilled at the infamous Stitzel-Weller distillery as these both were. Stitzel-Weller is one of the distilleries that produced Pappy Van Winkle, but it closed in 1992 and Pappy is now produced at Buffalo Trace. Some bourbon aficionados (or perhaps just those with more money than they know what to do with) view the Pappy produced by Stitzel-Weller as the "real" Pappy since the distillery was founded by one of the Van Winkles, and Pappy produced by any other distillery as inferior. As a result, Pappy fever extends to pretty much any Stitzel-Weller juice. The Very Very Old Fitzgerald can easily be worth north of $2k, depending on the condition of the tax stamps, fill level, etc. I've seen a bottle of Old Weller 107 from 1977 sell for $1,300 and that was almost two years ago. If you send the Old Weller tax stamp code to Buffalo Trace (the current distillers of Weller) they can probably date it for you, at least within a range. I've seen them do this before for other bottles of Old Weller. Heaven Hill distilled the Very Very Old Fitz, and might be able to do the same for that bottle. There are only a few legal ways to sell these. 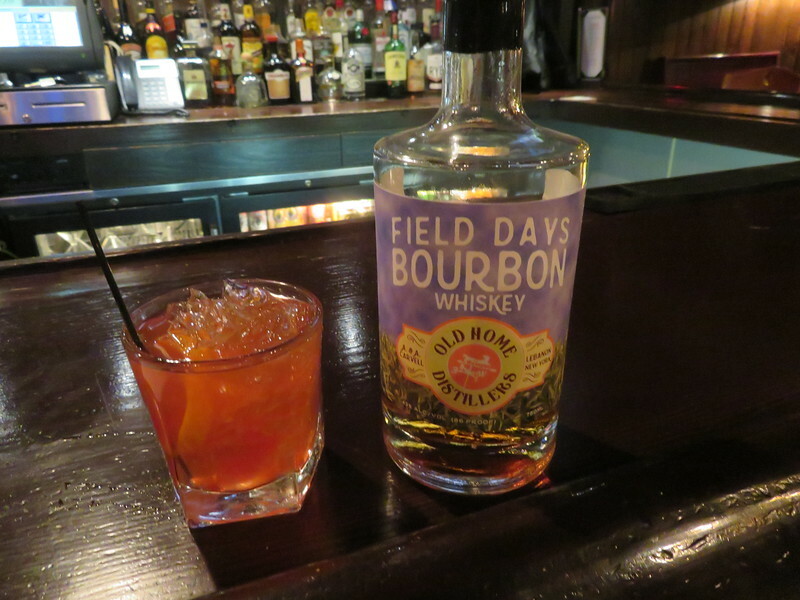 One option is through a broker (such as https://www.sellcellar.com/) or to a place like Justin's House of Bourbon in Lexington). They will value the bottles and provide offers to buy them, though keep in mind they need to make their cut too so you'll probably top out at 70 cents on the dollar or less. Or, if the liquid inside isn't cloudy, you might decide to crack open and enjoy a piece of history. This weekend my oldest son texted me a picture of a double shot of bourbon sitting on a bartop and told me that I need to get ahold of a bottle of Elmer T Lee. Unfortunately, the internet tells me I will need to drive 300 miles to do so. Elmer is good... it's one of those bottles that should cost $39 at retail but because of its scarcity often goes for $100+. I certainly wouldn't drive 300 miles for it. If you have a regular liquor store you visit, talk to them. They'll probably see it a couple times a year, and there is usually a spring release. If you're a good customer, and it's an independent store (as opposed to a mega-chain) they might give you a call or put one aside for you when it comes in. 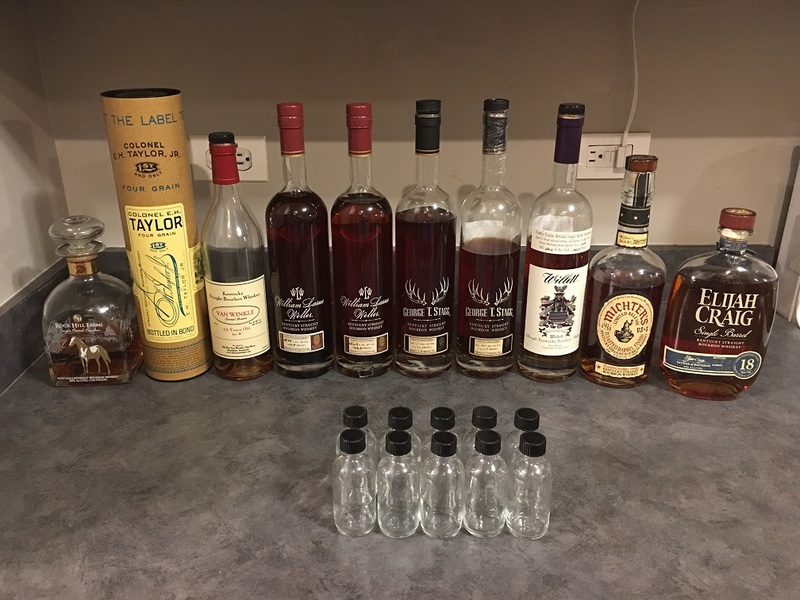 I've drunk any number of bourbons in the $30-55 price range and enjoyed them but I wouldn't travel 300 miles for any of them. Unfortunately we lost the last good independent here 4 years ago and have to rely on the big chains. There's a place in Pensacola where I shop when I'm in town but anything like this they would draw names for the right to purchase. Javabytes.... Who would have known!! Thank you for both the insights and the leads as to where I might find out more information. It is appreciated. P.S. At these price points I know I don't have the appropriate palette to appreciate what it is I potentially have, so probably no piece of history passing these lips. If it was me, I might keep them and spend the next 5 years developing my palate. Or sell one and use that money to buy what it would take to develop the palate. Or invite my friends from DiningBuzz over to try it at $50 a taste. Tried a local brand while staying in Hamilton, NY. It was a bit too sweet for my taste but I like trying regional liquors when I can. 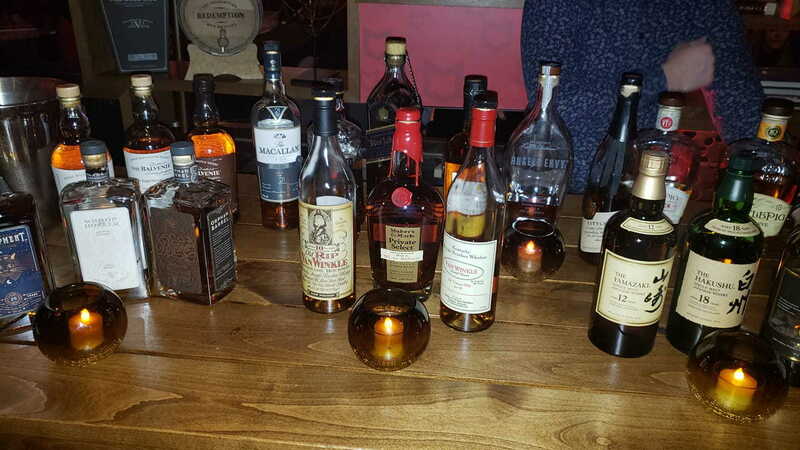 My company had a modest whiskey tasting at our CES reception. Showing us this layout? And we can't taste any of it? andyh64000 and Duke787 like this. My wife delivered a bottle of the Old Rip Van Winkle 10 to me for Valentine's Day, a VA ABC lottery win. It's good, and worth the retail price (IIRC it was $60), but IMHO is a bit harsh compared to the older Pappy products (even the 2 years more age for the Lot B I have makes a huge difference). People are insane to pay aftermarket for it other than to claim they have a bottle of "Pappy." I still have a bottle of last year's michter's toasted bourbon - it's not to my taste. PM me if you're interested in a trade. My latest aquisition is Blade and Bow. Spiciest bourbon I have tasted to date. Diageo bought the old Stitzel Weller facility and this product contains (minute amounts of ) what was in the remaining barrels on hand . A pretty solid $50 bottle in its own right. Two favorites in my rotation are Blanton's Gold Edition and Four Roses Super Premium (Platinum). Have some OFC 1993 on the way. Planning to pour that and Michter’s Celebration sour mash for our 10 year anniversary. wow that's quite the celebration...! Was in Texas for work and came across minis of Balcones Baby Blue and Balcones Single Malt -- have seen the big bottles at the NC ABC before so decided to give it at go. Not a fan at all. Balcones Baby Blue has a vodka smell to it (presumably from the corn) and I am not a vodka fan so that made it a pretty unappealing drink. Balcones Single Malt had an odd taste and similarly was not a fan.